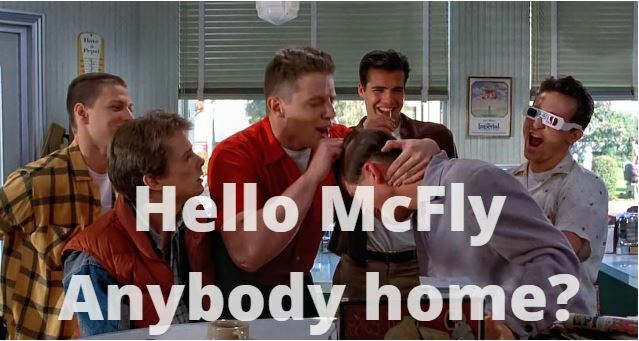 One last comment on endowment returns and strategy. Our discussions of managing risk shouldn’t be taken as code for “willing to accept small returns.” The truth is, playing defense can be an effective way to boost returns. Winning strategies almost always contain an element of sacrifice. A football team will run the ball, repeatedly and ineffectively, to open up the passing game later. Casinos offer gigantic progressive jackpots to lure you into a bank of slot machines. Letting small forest fires burn naturally can prevent hugely destructive fires later. One factor that allows roundabout strategies like these to work is the difficulty of pulling them off. Fans yell at you for calling plays like a moron. Paying out a big jackpot wrecks the slots manager’s P&L for a few days. Sacrifice, even when it’s well thought out and planned in advance, almost always feels wrong while it’s happening. To most investors, the obvious route to better performance is through more aggressive concentration in growth assets. You can make a lot of money doing this, the hard part is keeping it. The less obvious strategy is being willing to sacrifice, what looks like easy money now, in return for gaining the earning potential of playing defense. Of having some way of avoiding large losses in order to allow more capital to be conserved and available for compounding. The moral of the illustration is that it’s not how often you match or beat the market that matters, it’s when you do it and by how much. In this example, playing defense in year five more than makes up for the relatively meager performance in every other year. 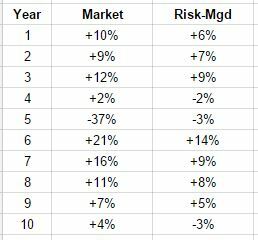 If our committee had coordinated the Risk-Mgd approach above, it would be easy to look back at ten years of completed returns and feel smug about the wisdom of it all. But in the real world, we would probably have spent 90% of the time feeling frustrated and talking about making changes. I think the key for us is to not care about the market. Our focus should be on preserving and growing the endowment and doing our best to ensure that it can support the mission of the club when it needs to. That’s the only benchmark that really matters. Disclaimer: The above example is hypothetical and is for illustrative purposes only. No specific investments were used in this example. Actual results will vary . Past performance is not indicative of future returns. Information displayed is taken from sources believed to be reliable but cannot be guaranteed. All indices are unmanaged and investors cannot invest directly into an index. Ideas and opinions expressed in this article are the sole responsibility of Patrick Crook/PLC Asset Management and do not reflect any stated opinions of Commonwealth Financial Network, National Financial Services LLC or any other person or entity. This entry was posted in investment theory, psychology on September 21, 2015 by Patrick Crook. This absurdly long email is in response to the discussion we had on Tuesday regarding the recent performance of the endowment. There was frustration expressed over the meager amount of growth over the last twelve months. I’m very much in support of the decision to review our strategy in the July meeting and the follow-up discussion with [investment advisor] in August. But before those meetings, there are a few things we should consider. This entry was posted in commentary, investment theory on August 19, 2015 by Patrick Crook. The first quarter of this year saw stocks, bonds and real estate all produce positive returns with real estate producing the best gains. The second quarter saw stocks, bonds and real estate all produce negative returns with real estate performing the worst. This is a good example of why it’s important not to get too caught up in month to month and quarter to quarter results. Since 1950, the split between up and down days in the stock market is about 54%/46% (http://www.crestmontresearch.com/docs/Stock-Yo-Yo.pdf). Short term movements tend to not have much significance, but little edges add up over time. In Ms. Psarianou’s defense, she could have been trapped in a sealed mine shaft or adrift at sea for the last six or seven years. We don’t know her backstory. But there is one thing we can be pretty sure of, she didn’t have a Plan B. Having a Plan B is simply an acknowledgement that things may work out differently than you hope. You don’t really think your house is going to burn down do you? Yet we carry insurance and keep working batteries in the smoke detectors just in case. Not because we think it’s going to happen, but because it could and, if it did, the consequences could be tragic. Ms. Psarianou could have spent the last few years preparing for a financial disruption. Instead, she ignored the obvious possibility in exchange for, presumably, the fleeting comfort of pretending that bad things only happen to the other guy. This isn’t unusual. Some lessons take a dose of calamity to sink in. This makes things simpler. We don’t have to know why any of these factors will increase or decrease. Our job (my job) is to have a plan in place to deal with any combination of outcomes for these factors. Our default stance is to have a relatively standard portfolio that owns stocks, bonds and real estate. The reason that this portfolio appears standard today is because it is adapted to conditions that have been the standard here for the last few decades. Today’s conditions have not always been the standard and they aren’t the standard in many other parts of the world right now. A Japanese investor has had to adapt to dramatically different conditions than ours over the last twenty years. Now that Ms. Psarianou has had reality thrust upon her, she will be forced to adapt. Which is unpleasant. Being prepared makes things so much easier. Being prepared can also make things much more profitable. At some point, and it might have already started, conditions will change again in Japan and investors will be rewarded for concentrating their assets in their home country. A new standard will develop, just as new standards have developed in places like China and India. The future may look very dark to Ms. Psarianou, but it won’t always be that way. Maybe she’s working on a Plan B right now to capitalize on that eventuality. I really hope she is. As for us, the story hasn’t changed much from a month ago. Trends are still in place, but they continue to weaken. This shouldn’t necessarily be taken as ominous, market returns ebb and flow. A protective exit is possible if conditions decline, but for now we stay the course. This entry was posted in commentary, strategy on July 15, 2015 by Patrick Crook. 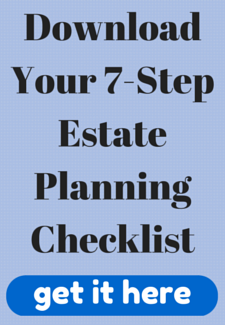 Estate planning is a topic that often comes up in investment discussions. The complexity of this area and the potential ramifications of doing something wrong makes getting advice from a qualified expert (not me) crucial. Recently I had the opportunity to pass along some of your questions to a highly qualified specialist and expert in the field, Nadine Davison. 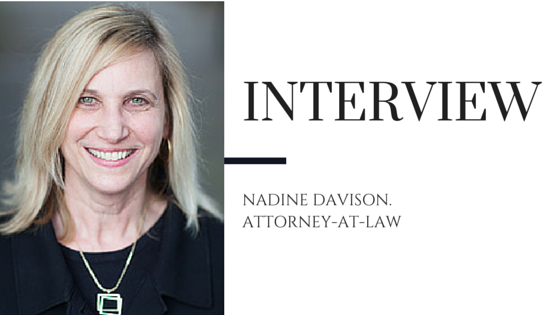 Nadine is an estate planning attorney and shareholder with the Corvallis law firm of Smith, Davison & Brasier, PC. Originally from Bethesda, Maryland, Nadine moved here twenty years ago when her husband accepted a position as an English professor at OSU. She has two teenagers, a seventeen year old son and a fourteen year old daughter. 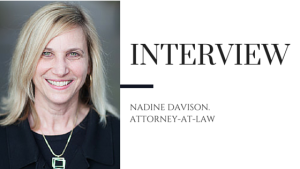 Before moving to Oregon, Nadine practiced for eight years in Washington, DC, representing corporations and individuals in all aspects of complex commercial litigation. After moving west, she continued her litigation practice in Eugene for three more years, and then took a few years off to be home full-time with her children before joining Jeanne Smith and her practice in 2003. Below Nadine answers many of the questions that have been posed to me over the years. Hopefully, this discussion sparks some thought in your household on whether or not your current plan is up to date and adequate to the task. 1. What’s the danger of not having a plan – let’s say I have fairly typical assets and I die? What’s the danger in terms of my heirs? This entry was posted in Q&A, strategy on April 29, 2015 by Patrick Crook. We are midway through the first quarter of the year and in the thick of some real turmoil thanks to second and third order effects of falling oil prices and Greek elections. Just kidding! It only seems that way if you listen to commentators on CNBC or read the news. The real truth is, the current investment environment is a tale of simplicity. As an investor, my two main priorities are to, 1) participate in growing markets and, 2) avoid disaster. If we can do that reliably we’re in pretty good shape. Simple, right? This entry was posted in Uncategorized on February 20, 2015 by Patrick Crook.